Dusan Barac on FSD and ELAB cooperation. FSD has always been one of the most influental and significant partners. 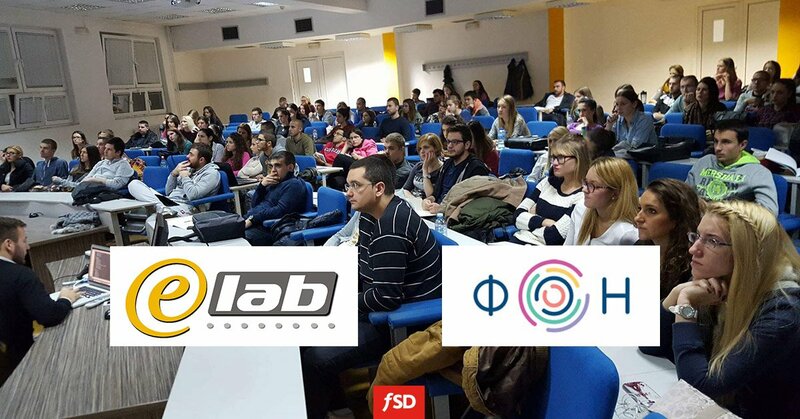 Cooperation among Department for E-business, Faculty of Organizational Sciences, University of Belgrade (ELAB) and FSD has lasted since the very begining of the foundation of FSD. Meanwhile, the cooperation has resulted in plethora of new learning resources, experiments in context of cutting-edge technologies, software projects and huge knowledge dissemination and intensive people exchange. To a great extent, mission and aims of FSD are completely in line with those of ELAB. We both have always focused on innovations by harnessing the latest technologies, fostering creativity and trying to nurture excellence both within people and IT solutions. Currently, I see FSD's products and experts among the best in the region. What is to be emphasized is that FSD primarily relies on its own products, such as: F-leader, F-shop, F-CMS, etc. Some of FSD employees have worked as teaching associates at our department and have given huge contribution in improving teaching process and scientific research results. Introducing one of the most important JS frameworks - EmberJS to students and professional community. We together have founded EmberJS Srbija association and organized a few meetups and different events. First EmberJS workshop has been conducted at Faculty of Organizational Sciences, University of Belgrade as a joint cooperation of FSD and ELAB. Developing comprehensive IoT ELAB platform. It enables students to manage their IoT projects, gather data from wide spectrum of sensors and devices that are connected to the system. It is based on API centric architecture and developed by using Symfony framework. The platform was developed in cooperation with FSD, where FSD programmers have developed the most demanding elements. It is being used in teaching within the subject, Internet of things. Android mobile application development course has always followed the newest trends and improves each year to a great extent, now introducing concepts of pervasive computing and context-aware computing. All this could not have been done without the help provided by Android developers from FSD. FSD developers with their vast experience and knowledge have huge impact on continuous improvement of curriculum of a few courses at all level of studies, such as: Internet technologies (one of the most important courses at the faculty), digital marketing, mobile business, E-business, etc. FSD developers have contributed to a great degree to numerous informal courses conducted by ELAB. FSD developers have helped us to create plethora of e-learning services on Moodle learning management system. We improved Simulation course thanks to the app that enable students to execute their simulation models via web application. Great part of the application for web simulation was developed by the guys from FSD. Some of the bachelor and master thesis were written with great help of FSD developers. FSD was one of the main partners of FOS StartupDay 2016. FSD employees often give lectures to students as guests. I do hope that the collaboration will at least maintain its current level and will bring numerous advances to mutual benefits.